If a business is to be successful, it has to adapt to today’s economy, which is a global economy. To achieve that, it must consider innovation management programs. Without innovation, an organization simply cannot survive anymore. However, too few businesses understand just what innovation is and how it should be implemented. A lot of businesses feel that innovation is only about developing brand new products. This is very far from the truth, actually. In reality, it is about making a lot of very small, but incremental changes across not just products, but all businesses practices and processes. To be successful, the full business, including managers, researcher and development departments and employees, have to be on board. A recent study by a global consultancy group showed that 70% of employees find that innovation should be one of the three biggest strategic priorities in their business. What Does Innovation Management Do? Essentially, innovation management aims to create a brand new system that allows people to come up with innovative ideas, test them and implement them. This can be managed and achieved in a number of different ways. However, at the heart must lay the idea that everybody, regardless of their position within the business, is able to contribute to innovation. People need to feel comfortable with putting ideas forward and know that they will be listened to. These ideas should be able to cover everything, from products to management techniques and from organizational structure to new services. A method then has to be found to test whether these ideas are viable, and whether they will create a positive financial return in the future. This is achieved by setting a number of evaluation criteria. Any idea that passes those criteria should then be developed and tested properly in a real life situation. If this testing is successful, the idea should be fully implemented and, finally, launched across the organization. Almost every company now understands that innovation is important because the world is now so competitive. However, there are still only a handful of companies that are truly innovative in their practices and that have implemented innovation management properly. Many do allow for idea generation, but they fail when it comes to testing and implementing them. In most cases, this is because top management does not support the development of new ideas across their organization. Luckily, the world is changing slowly but surely. 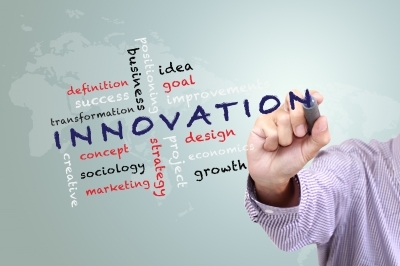 Innovation management as a concept is becoming one of the most innovative ideas of all. Companies such as Facebook and Google, for instance, show just how well this type of management can work. Unfortunately, many other corporations believe that this is because those types of companies have the financial resources to innovate wherever possible. On the other hand, perhaps they have these tremendous resources because they were innovative from the word go. Either way, the reality is that, in order for a business to survive, they must become innovative and think outside the box.